Join us in celebration of all that is Wisconsin cheese! 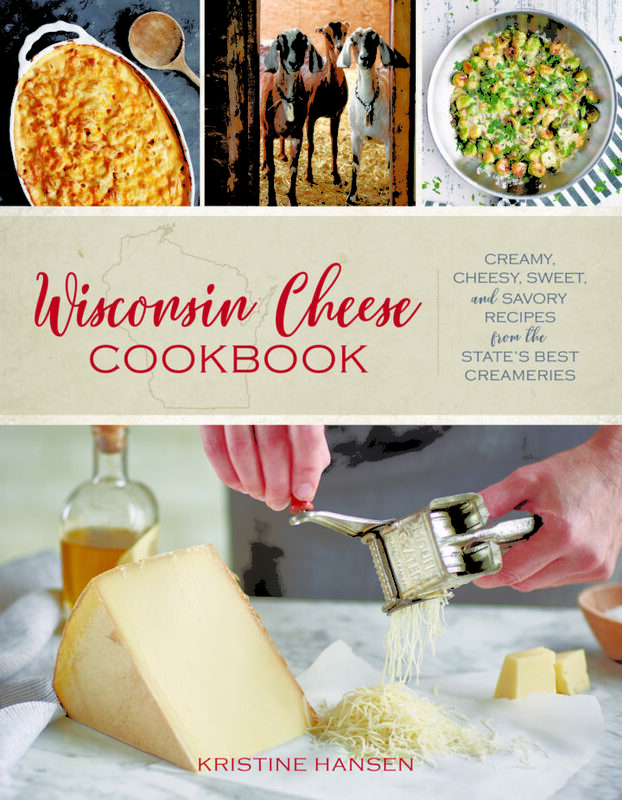 Author Kristine Hansen of Milwaukee will be at The Oxbow Hotel and The Lakely to introduce and share her new book, Wisconsin Cheese Cookbook: Creamy, Cheesy, Sweet, and Savory Recipes from the State’s Best Creameries! In addition to the Meet + Greet, we’ll have cheese samples! FREE to attend! Pick up your copy of this amazing cookbook at the event! Wisconsin’s artisan-cheese scene is steeped in tradition and bursting with innovations. Local cheesemakers attract visitors from all over the world. Cheese is a huge part of the state’s tourist draw and homegrown character. Everyone who calls Wisconsin home or visits for a day will love this book of the best recipes to cook with cheese. Stunning photos and 60 recipes from the 28 creameries featured will include comfort-food staples like pizza, mac ‘n cheese and grilled-cheese sandwiches, as well as wow-worthy dinner-party favorites such as mascarpone cheesecake, plus picnic-friendly salads and delicious breakfasts. Noteworthy creameries covered include Carr Valley Cheese and Emmi Roth in Southwest Wisconsin, BelGioioso Cheese and Sartori in Northeast Wisconsin; Holland’s Family Cheese in Northwest Wisconsin; and Clock Shadow Creamery in Southeast Wisconsin. 1. 5,552 awards won by Wisconsin cheesemakers as of November 2018. 2. Wisconsin is the only state requiring cheesemakers to be licensed. 3. Wisconsin has the highest number of Master Cheesemakers in the U.S.
4. There are more artisan cheesemakers than in California (California is more commodity). 5. Most Wisconsin cheesemakers learned from their ancestors, which can be traced three or four generations back in Italy, France and Switzerland. 6. A modern-day solution to the dairy crisis in Wisconsin: turning milk (selling at unfortunate record-low prices) into artisan cheese, charging as much as $30/pound. Based in Milwaukee’s Bay View neighborhood, Kristine Hansen is a nationally recognized food, drinks and travel author with articles about Wisconsin’s cheese published on Travel + Leisure’s website as well as on Fodors.com. Her articles have appeared in TIME Magazine, Cooking Light Magazine, Vogue.com, Today.com, CNN.com, CNTraveler.com and ArchitecturalDigest.com. She contributes to Milwaukee Magazine, covering the state’s agriculture industry and its many personalities.